Our partner AstroNova has developed a new technology for digitally printing food friendly, heat sealable flexible packaging materials. Designed to work with TrojanLabel presses, this new digital, narrow format technology can be used in either a standalone printing mode or in-line with standard packaging equipment for a ‘complete print and pack’ process. The combination of the unique ink and lamination offers food-friendly packaging that can be sealed in both horizontal and vertical FFS machines using low temperatures for high speed sealing. A unique, ultra-thin, white gloss PET film has been specifically developed to be receptive to AstroNova’s water-based inkjet inks. The inner transparent sealing layer of the film protects food products from coming into contact with the outer layer. The water-based inks used are food-friendly, odorless and free of reactive chemistries. The inks are in compliance with several US, European and Japanese standards. 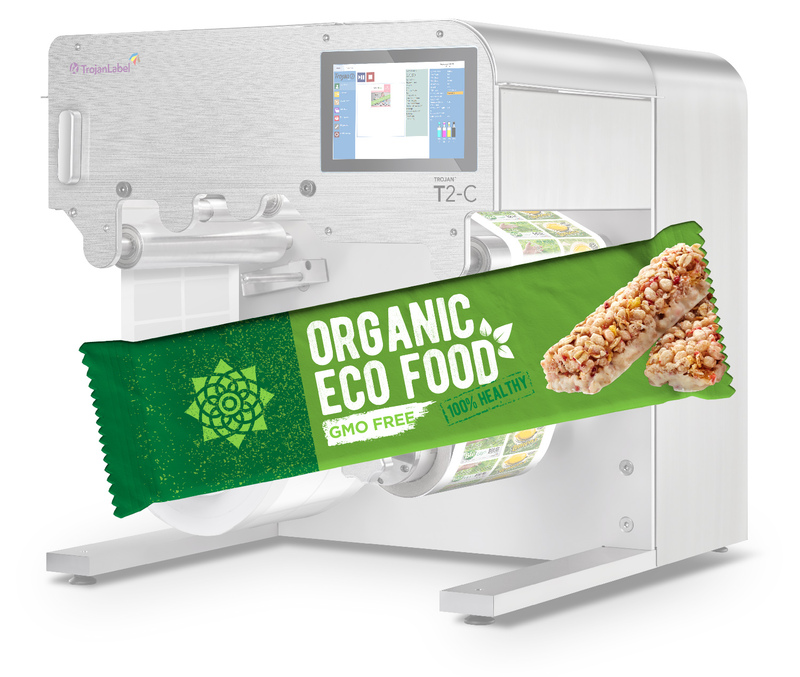 AstroNova identified the technology as allowing flexible packaging printers to produce short- to mid-level packaging runs on demand. This includes the ability to print barcodes and variable data. The technology can easily be expanded to include a wide array of product packaging, offering the ability to produce the exact number of custom printed packages needed.